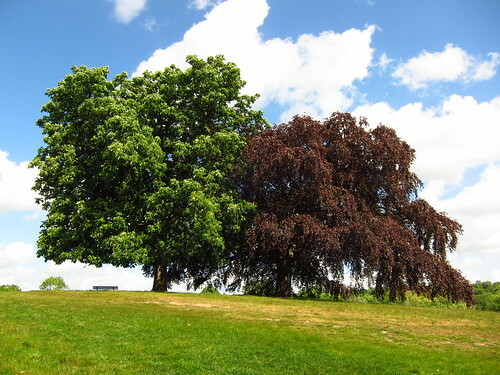 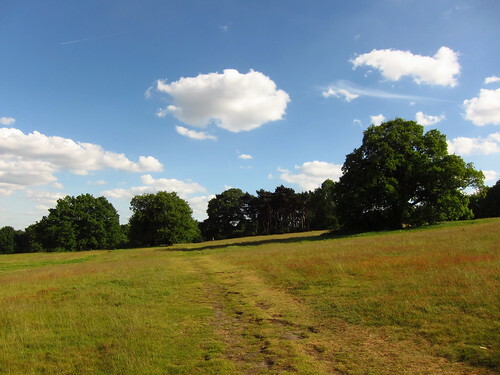 I've been walking a lot around Hampstead Heath lately, which I think is already looking very summery. 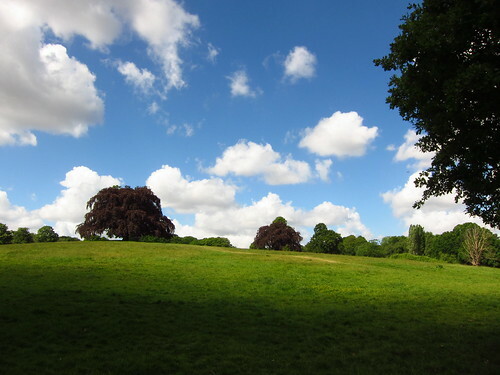 Hampstead Heath has a variety of landscapes, which I all like; there are some parts of the Heath that I like better in different seasons. 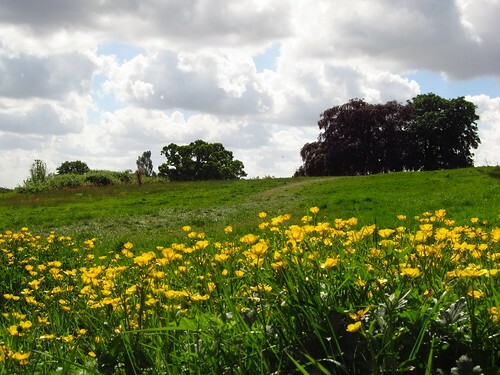 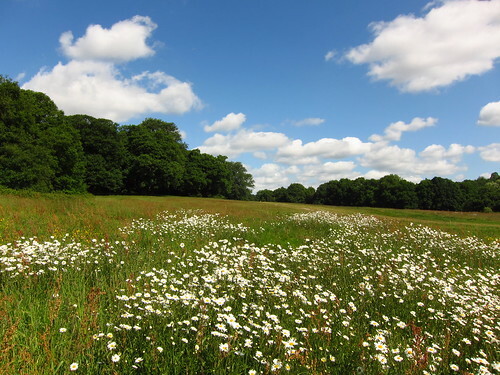 The open grasslands of the Tumulus Fields and Cohen's Fields are my "Summer Heath".